Department of Applied Ecology professor, Ted Simons, of the NC Cooperative Fish and Wildlife Research Unit, and Dr. Roland Kays, professor in the NCSU Fisheries, Wildlife, and Conservation Biology Program and scientist at the NC Museum of Natural Sciences are using state-of-the-art GPS transmitters and the Movebank animal tracking database to study Bald Eagle movements in North Carolina. 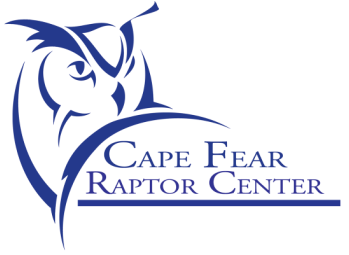 An immature Bald Eagle rescued by Dr. Joni Shimp of Cape Fear Raptor Center in 2014 was fitted with a 48 gram solar powered GPS transmitter and released early January 2015. The two year old female, nicknamed “Yangchen” was weak and emaciated when recovered. 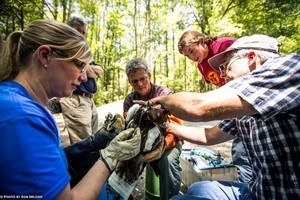 Subsequent analyses by Dr. Shea Tuberty at Appalachian State University indicated relatively high levels of zinc and lead in the bird’s blood. Over the past two months Yangchen has moved between Wilmington and Albemarle Sound, focusing its activity near Bath and Aurora, NC where it is making extensive use of reclaimed phosphate pits and catfish ponds in the area. 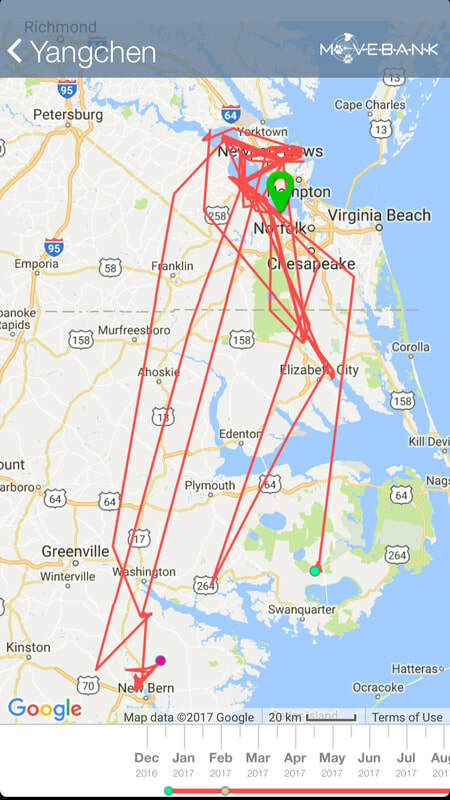 Recent maps of the bird’s movements are available to the public and updated four times a day by Movebank. The scientists are hoping to track the immature bird to follow migratory movements, pair formation, and nesting behavior over the next several years. For more pictures, please see the What's New page.